Hey query writers! How's it going out there? Hang in there, friends, because today I want to talk about keeping your sanity during the query process with a little organization. 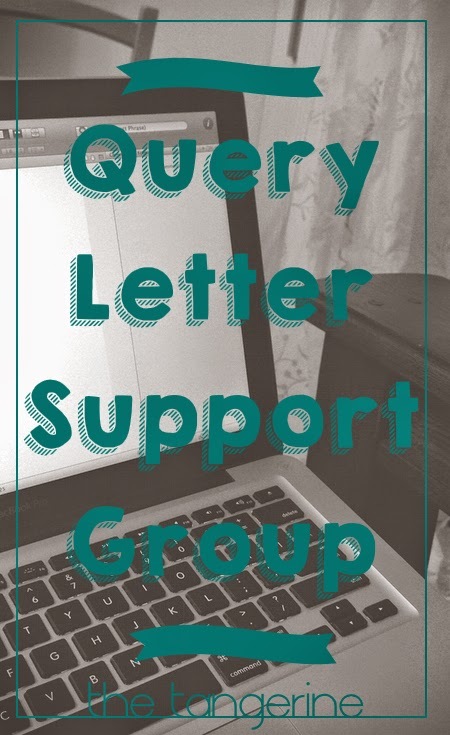 Keeping the process of query letter writing organized has helped me tremendously with tracking when, where and to whom I am sending out my requests to be sure that I don't send to the same agent twice, and so on. First things first. You're going to write a lot of query letters. A lot. Probably not single digits, and maybe not even double digits. Yes, it's possible you will send over a hundred query letters. Enough to want to keep track. 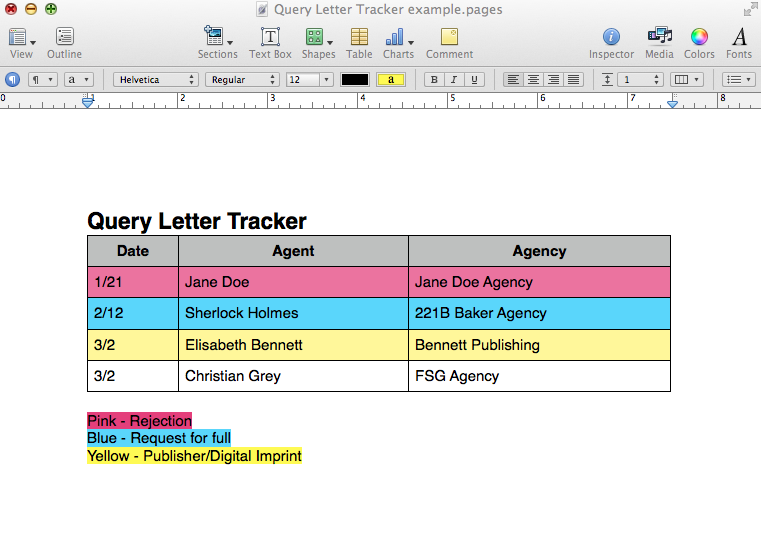 What you want to track is the date you sent the letter, the agent's name, and the agency. On top of that, I want to know if they requested a full or if they respectfully declined. So, this is basically what my process looks like. As I add the agents to the list, I leave them white. (Unless it's a press or imprint, in which case I'd like to know that) If I receive a rejection letter, I change it to pink. If they request a full, I change it to blue. Well, a simple sorting trick will allow you to alphabetize the list be either agent name or agency. Say you got a rejection from one agent in the agency, now you can query another agent in the same agency. Don't query two agents in the same agency until you get a no-thanks from one. Also, if you get a request for full, this system allows you to see if you have any other requests out there. (Not that you're likely to forget such joyous news, but you get it). If this happens, you should always notify the first agent who requested the full and let them know another agent has requested one too. I'll tell you now, my tracker has many more than four on the list. So many more. Every time I see a new agent pop up somewhere, I have handy place to turn to to see if I've already sent them my stuff. I can't imagine what a mess my brain and desk would be without this system. I hope it helps you! Tell me: Do you have a system for tracking QL's? This is such a great tip!!! I need to file this away for when I'm ready to send out query letters. Thanks so much for sharing what works for you!